Elon Musk, a frequent media darling, is going on the attack against the media. Musk, the CEO of Tesla (TSLA) and SpaceX, accused the media of being dishonest and floated the possibility of building a service to rate the credibility of specific journalists and news outlets, in a series of tweets on Wednesday. "Going to create a site where the public can rate the core truth of any article & track the credibility score over time of each journalist, editor & publication," Musk tweeted. He said the service could be called Pravda, which is Russian for "truth" and also happens to be the name of the newspaper central to the Soviet Union's Communist Party. A California business called Pravda Corp was incorporated late last year, with Jared Birchall listed in a filing as its president. Birchall's name has also been listed in filings for other Musk projects, including The Boring Company. In response to a tweet noting the Pravda Corp filing, Musk simply offered a hugging face emoji. Representatives for Tesla and SpaceX did not immediately respond to a request for comment. Musk's idea quickly raised concerns that the reputation of news organizations and reporters could be determined by what could be an easy to manipulate online popular vote. "Elon's next company: Rate My Professor but for Journalists. What a great idea that won't be gamed immediately in extremely predictable ways," Rene DiResta, who researches computation propaganda and is a policy lead at Data For Democracy, wrote on Twitter. Musk's media ruminations come after critical coverage of Tesla for missing Model 3 production goals, losing top executives and clashing with the government over an autopilot crash investigation. Earlier this week, Musk pushed back against Reveal, a nonprofit news organization that published an investigative report raising concerns about safety conditions at Tesla factories. 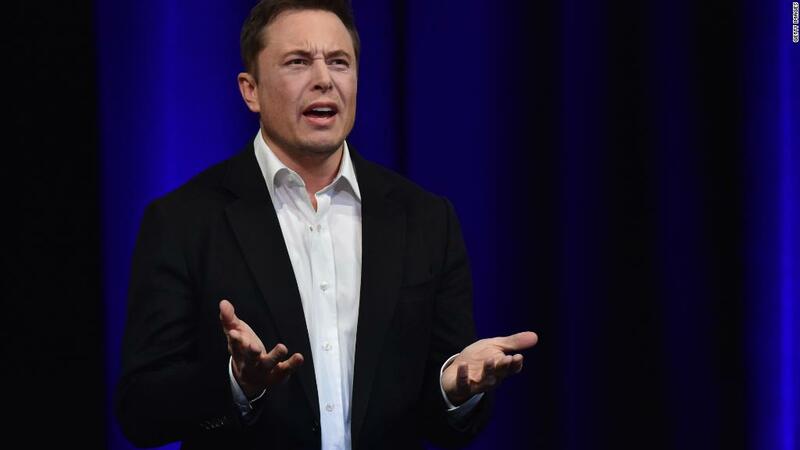 Musk kicked off his tirade Wednesday in response to an analyst report noting that "negative headlines" about Tesla "have increased substantially in the past month." "The holier-than-thou hypocrisy of big media companies who lay claim to the truth, but publish only enough to sugarcoat the lie, is why the public no longer respects them," Musk wrote. After one Twitter user raised concerns about Musk fanning distrust of the media, the CEO replied: "The media has earned this mistrust." It's just the latest outburst from Musk. On a recent earnings call, he interrupted analysts who asked about capital expenditures and production of Tesla's first mass market car, the Model 3. "Boring, bonehead questions are not cool," Musk said to one. "These questions are so dry. They're killing me," he said to another.